"Climate change is the biggest issue of this century. It's not the time to chat anymore ; it's time to act! Public Transport is one of the main solutions to decrease the traffic emissions of public transport. European leaders, governements, institutions have to prioritise this way"
"According to me, urban mobility should be the priority for the upcoming years. We need to make sure public transport succeeds in replacing individual cars, especially in the city centres. The future of urban mobility lies in automated and electric vehicles." "Climate action is the main issue the next term of Parliament. Transport is a key sector to decrease green house gas emissions. Only a strong public transport will contribute significantly to that goal." "Pour lutter contre le réchauffement climatique et protéger notre planète, les transports sont un secteur clé. Ils doivent être des priorités législatives et politiques de la prochaine mandature du Parlement européen." "The transition from linear to circular economy is impossible without sustainable public transport. Emissions of greenhouse gases from transport in Croatia are at the very top of Croatian emissions. If we want a sustainable future, sustainable urban mobility and public transport must be a priority for the next EU legislature." "Climate action must be the biggest issue for the EU - and we can curb traffic emissions only with a strong public transport." "While urban mobility is getting more digitalised and servitised, local authorities still have to solve severe societal challenges such as congestion, air and noise pollution, and safety. Cities and regions want to innovate and make use of technology to benefit all citizens. Polis members are stepping up to create the kind of mobility ecosystem and regulatory framework that favours healthy, clean and sustainable travel habits. We are happy to endorse the #MobilityOnTop campaign and call for public transport and active travel to be the backbone of mobility in cities." "The UITP Europe manifesto is part of a drive to make the European Union a lever for continuous improvement in public transport, and on the eve of the 2019 European elections, it is time to place mobility at the heart of the European political agenda." "Public transport needs to be the backbone of our future mobility. It is our chance to save the climate and live a better life in green cities with clean air." "Fight against pollution and climate change, innovation for our clients, social cohesion. All of RATP Group’s priorities, as worldwide partner of sustainable and smart cities, are the same as the EU’s priorities for urban mobility! 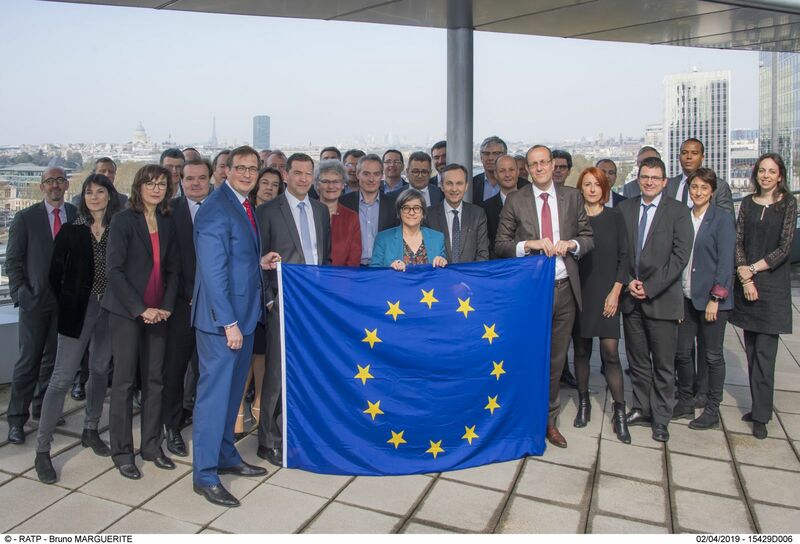 RATP Group and its CEO Catherine Guillouard, together with all the Top Management, fully support UITP to place Mobility at the forefront of the European strategy and actions for EU citizens!"